What year did your railway station open? What year did your local station open? Before you were born? Probably before your grandparents were born! 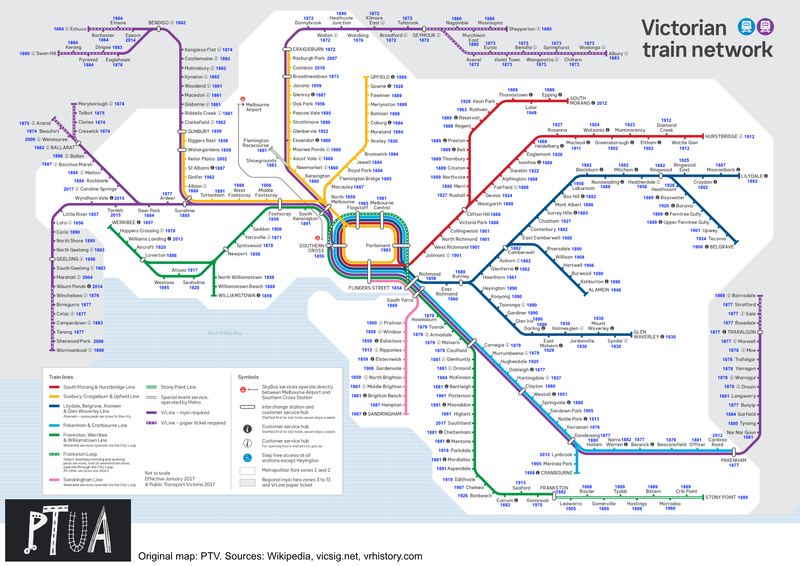 Our population is growing, and our public transport network needs to keep growing too. Click here to view the map larger. The rail network grew rapidly between 1854 and 1930… but since then almost nothing. 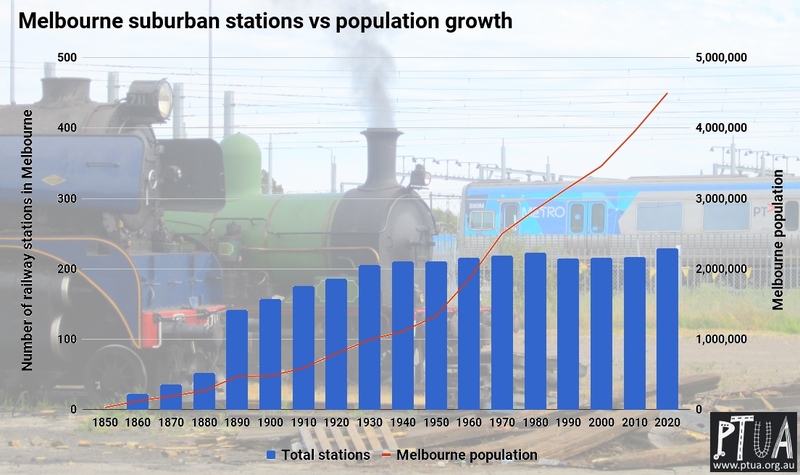 Expansion of rail, tram and Smartbus services is far too slow for Melbourne’s huge population growth. No wonder the roads are congested! Join PTUA today to help the campaign for better public transport.